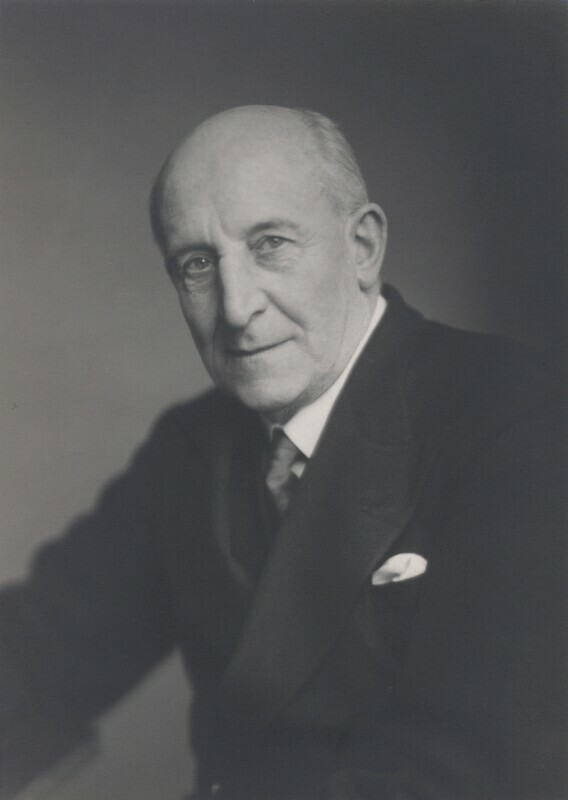 Sir Percy Clarke Hull (1878-1968), Organist and conductor. Sitter in 3 portraits. Princess Elizabeth marries Philip Mountbatten at Westminster Abbey. Philip renounced his title of Prince of Greece and Denmark, to become Duke of Edinburgh when he married the heir to the throne. The first Edinburgh Festival includes performances by Kathleen Ferrier, Alec Guinness and Margot Fonteyn. The Festival is now a major annual international arts event that takes place over three weeks every August, and includes top class performers in theatre, music and dance as well as lesser-known performers who take part in the parallel 'Fringe Festival'. India is granted independence from the British Empire and the former British Raj is partitioned into India and Pakistan. After various revolts and several years of civil disobedience led by Gandhi and his Quit India Movement, Britain agrees to disband the Raj and grant independence to India. Palestine is partitioned into a Jewish State, an Arab State and a small internationally administered zone.